'Conspiracy Theory' is a term often used synonymously with 'Fairy Tale' but in fact no assassination; major fraud; or other property theft; happens without a plan of some sort. And any secret plan that involves more than one person is a conspiracy. Thus a conspiracy is simply a plan to do something that is kept close within a limited group (the conspirators). Assange theoretically extends this to any secret government business or secret business business. Thus most commercial research into new technologies falls into this category; the plan does not have to be one to rob a bank; defraud investors or kill a prominent person. 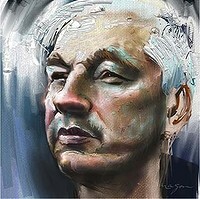 Assange believes society and the economy would run better without the secrets that support conspiracy. This belief is theoretical, based on network theory, and is closely related to a belief in free markets. See my previous paper on this site. Assange's campaign to remove all secrecy certainly seems to have made him a 'lightening rod' for those he wishes to expose. Evidence is mounting of a series of conspiracies (plans that have not been made public) around handing Assange over to the US authorities; and some element of the Australian Government, seems to be complicit in at least one of these plots. A double standard, referred to in the article, is obvious. All sorts of representations are made by our Diplomats on behalf of Australian criminals caught overseas but in this case no Australian law has been broken yet our Government seems to be doing the opposite. In my own direct experience political parties are driven by backroom power-broking. Politicians are, almost by definition, conspirators. I am reminded of 'Yes Minister' particularly the 'Open Government' episode. Such alliances and deals are much more influential than the donation of campaign funds; although the two may go together. This is ideal territory for covert foreign (and business/union) influence. This seems to be exposed here. Are these theoretical/philosophical issues important enough to 'die in a ditch' for: free (pure, open, competitive) markets; open Government? As you can see from the article on markets on this website, while I support free trade I am not an absolute believer in 'free markets'; any more than I believe in the Platonic theory of Forms.